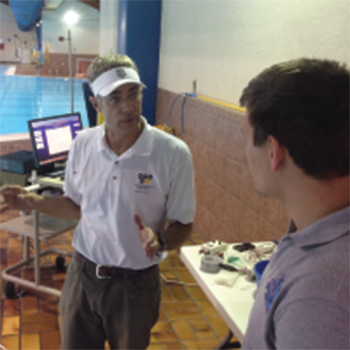 Dan is owner and principal sport physiologist at VOLT Sportlab, now part of HYPO2 High Performance Sport Center. Dan earned a masters degree in sport physiology at Arizona State University where his studies and research centered on elite-level endurance runners, cyclists, bi athletes and triathletes. At VOLT, Dan focuses on providing physiological testing and altitude training program design for a variety of athletes, from recreational to elite. Dan lives in Flagstaff with his wife Kathy, a former elite swimmer and coach. In his spare time, Dan enjoys mountain biking, trail running, swimming, skiing, triathlon, fly fishing and traveling with his friends and family.